The FLM-100 is a four channel water flow sensor interface. Originally developed for use in high vacuum deposition plants (both optical and semiconductor) the unit is applicable in any situation where the flow rate of fluid in up to four different pipes needs to be monitored. Flow rate is output via an RS485 serial port. 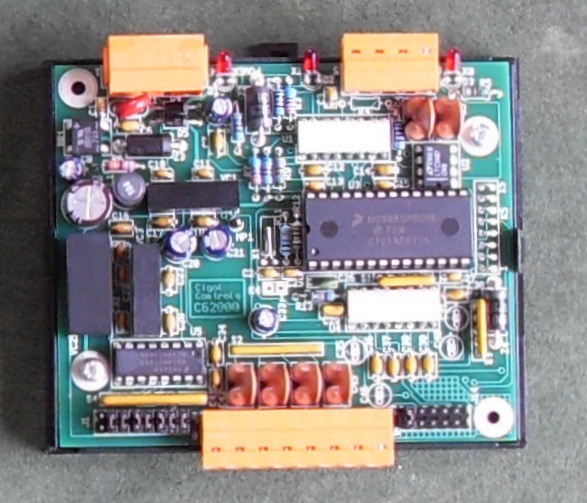 Additional FLM-100 units can be added to the RS485 network to monitor further sets of four sensors. The unit is designed to operate in conjunction with the Crydom ultrasonic flow rate sensors type UF25 P 100 (Available from RS Components - stock number 510-9051) which are suitable for flow rates up to 25 litre/min. The unit will work with other members of the Crydom flow sensor family. 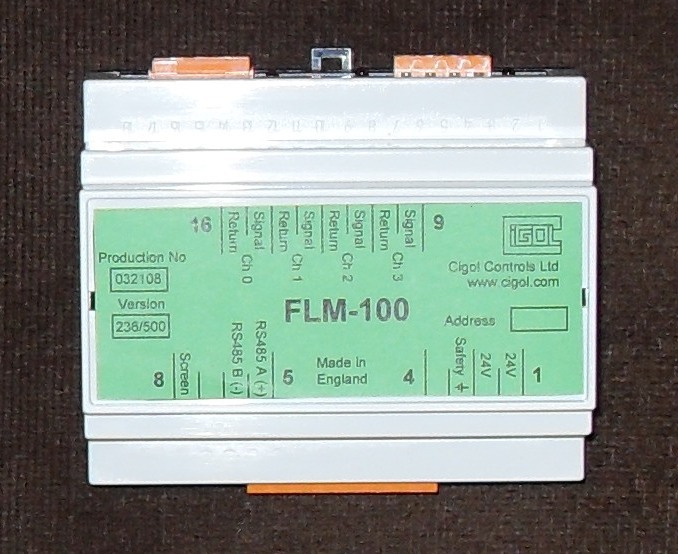 The FLM-100 is top hat DIN rail mounting mounting . Download FLM-100 Installation Information (pdf format, 27k) or FLM-100 Communication Interface Information (pdf format, 19k).